This is a list of things that have worked well for me either preparing for or during the Ridge Run. When I find something better than the stuff listed here, I’ll update the list. Since I am just a recreational runner without any sponsors, my only loyalty is to what works. Here is a previous post detailing my 2013 Bridger Ridge Run Race kit. So far, I haven’t had a chance to use these during the Ridge Run, but I have been training in them a lot. They are my current favorite trail shoe. You should be able to find them for under $70.00. Here are a couple reviews. Skechers shoes have been instrumental in allowing an old injury prone runner like me to keep on running. Besides the GOBionic Trail for trails, I also use the GORun for training on the road, treadmill or track. A couple years back when suffering foot problems, I did the Ridge Run in Bondi Bs and they worked just fine. They are a bit stiff and heavy, but offer a lot of cushion and protection. 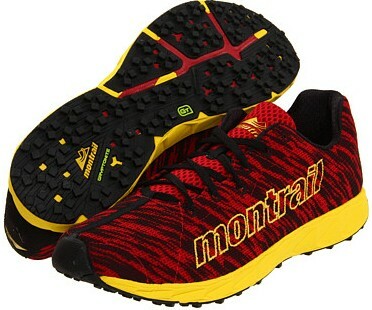 As long as conditions are dry, they offer good grip, but find another shoe for mud or snow. Other downsides are they are very expensive and fragile. They wear out quickly and even a single sojourn across the Bridger Range’s limestone can rip off the outsole. I have done a lot of training and racing (not the Ridge Run) in these shoes and really enjoy their lightness and response. 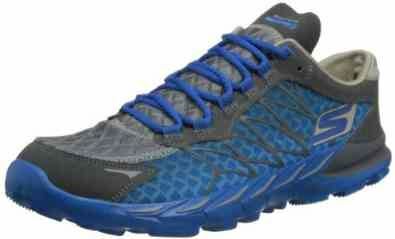 They are just too minimal for me to brave doing the Ridge Run in them. If you are quick and light on your feet, they should work well. 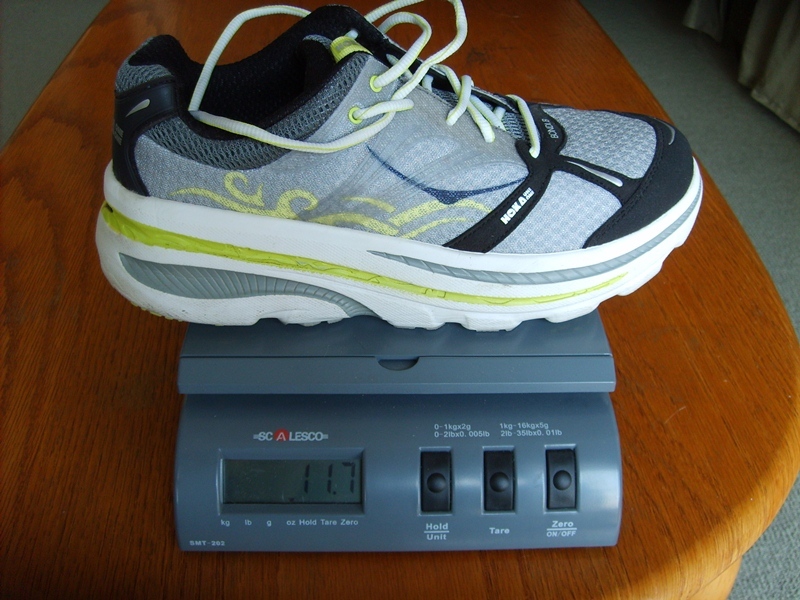 These shoes have been dependable foot gear during many Ridge Runs. Unfortunately, they are no longer available. The Nike Wildhorse and Kiger are probably the closest comparable shoes. 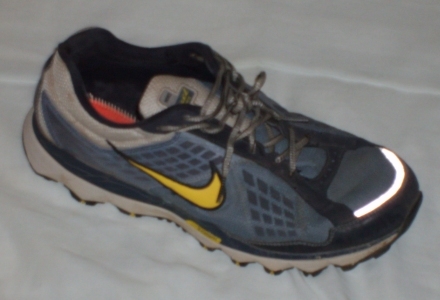 They are lighter, have a very similar sole, but the upper is mushier than the old Nike Zoom Trail. A single water bottle and a waist belt have served me well for race day. My favorite is the Ultimate Direction Solitaire coupled with a reused Gatorade 24oz bottle with the twist style top. The Gatorade bottle works really well and is cheap! 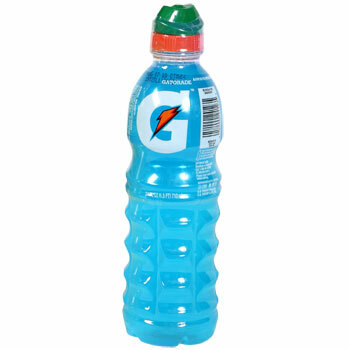 Recently, I have noticed some of the best trail runners in the world also re-using these Gatorade bottles for their water bottles with their hydration vests. They fit perfectly in the front strap pockets on most hydration vests. I like the Solomon S-Lab vests for long training runs when I have to carry lots of water. The Solomon vest fits so well that the bottles hardly bounce when running. I’ve been disappointed with the bounce of other types of hydration vests. It makes a lot of sense to carry a lightweight wind shell style jacket for training on the Ridge or even during the race if the weather looks iffy. 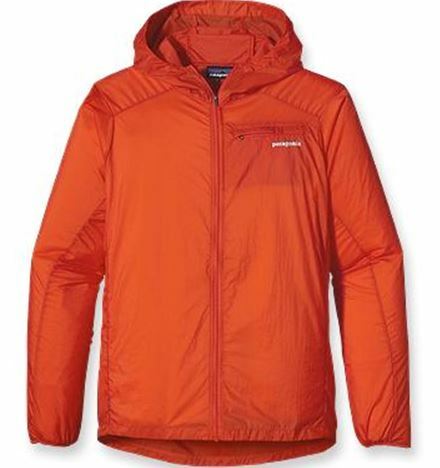 The Patagonia Houndini Jacket has worked well and saved me more than a few times from nasty weather surprises. It is only a few ounces and stuffs very small so it is hardly noticeable when tucked away in your hydration pack. For the Ridge Run, I like to wear knee high socks. They offer added protection and enhanced proprioception. 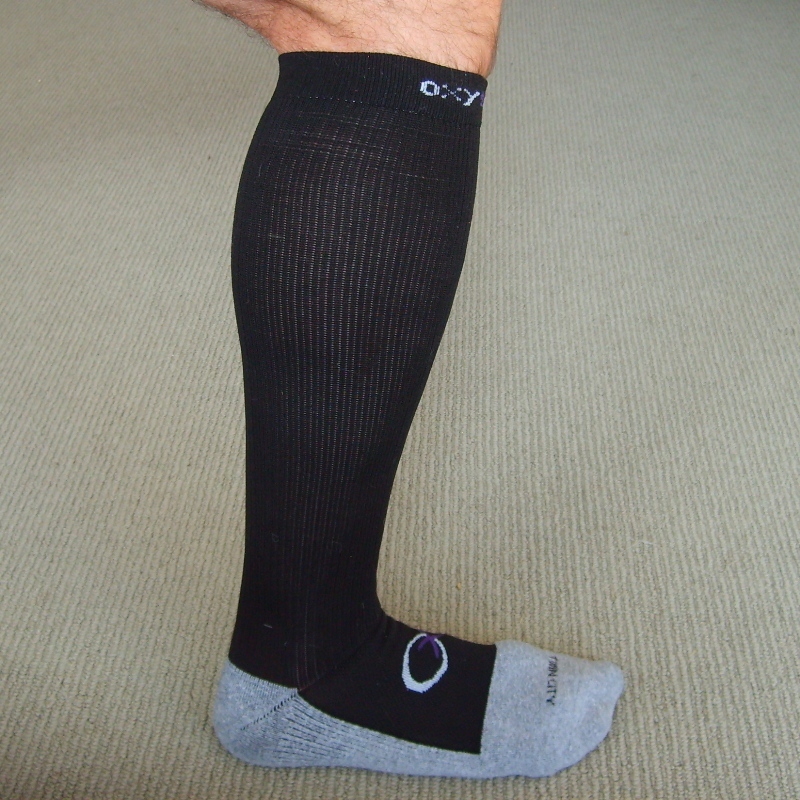 Over the years, I have had great success with the OxySox compression socks. 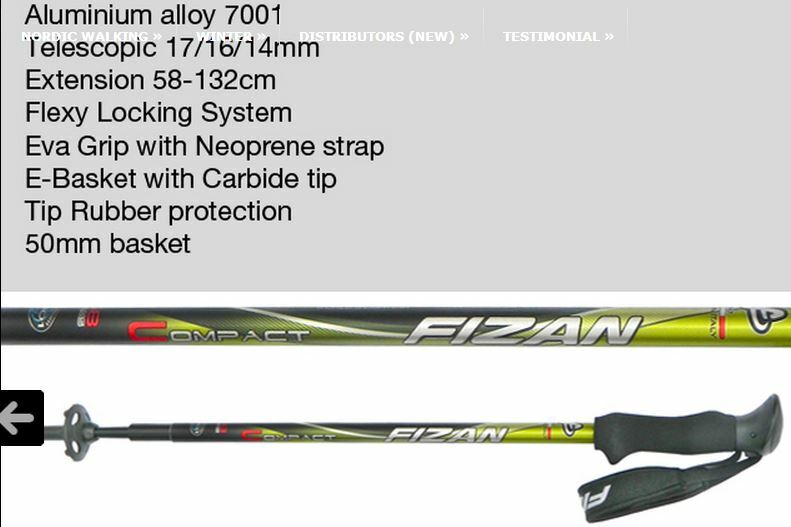 A couple years back, I picked up a pair of Fizan trekking poles. Occasionally, I will use my trekking poles when training (mostly hiking) on very steep terrain. So far, I have never used them during the Ridge Run and probably won’t until I get really doddery. In recent years, I recollect seeing a few people using poles during the race. My Fizans have held up when clanging through boulder fields and vaulting down scree fields. 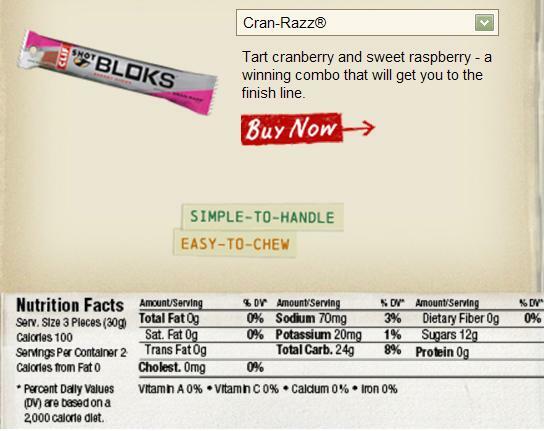 In the last couple Ridge Runs and for other long trail races, I have enjoyed Clif Shot Bloks. Gels just never worked well for me, so I have finally given up on them. With the Clif Bloks, I have recently reverted to using just plain old water no sports drinks. By plain water, I mean water that has not been sterilized with Chlorine and contaminated with Fluoride. Fortunately, we have a couple wells with quality water. Running up and down Mount Baldy from the M Trail Head is a terrific way to prepare for the Ridge Run. Ascending and Descending Baldy has a lot going for it. Most importantly, it is specific to the race as it is part of the course. When done on a regular basis, it conditions your legs to steep uphills and downhills. When you can go up and down Mount Baldy and not be left with sore quadriceps muscles the next day, then and only then are you conditioned for the Ridge Run. Secondly, Mount Baldy offers convenient and easy access from Bozeman. 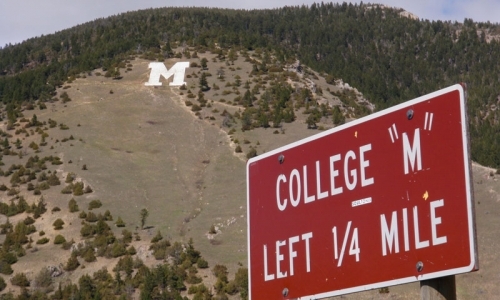 I know there are lots of serious runners that now avoid going up Baldy from the M because of the crowds and irresponsible dog owners, but once you get up above the top of the M, the crowds thin out. Consider going in the evening to avoid the crowds. In the summer, the sun does not set until late, offering plenty of time to train after dinner. Hot summer temperatures also cool down quickly towards sunset. And remember, your round trip time to go up and down Mount Baldy from the M Trail Head is a good predictor of your Ridge Run finish time. Just double your time to get an estimate of your Ridge Run time. If you can scamper up and back down Baldy in under 2 hours total, then you are on track for breaking 4 hours in the Ridge Run.